AppFollow ASO reports provide you with the essential insights for your app promotion strategy. 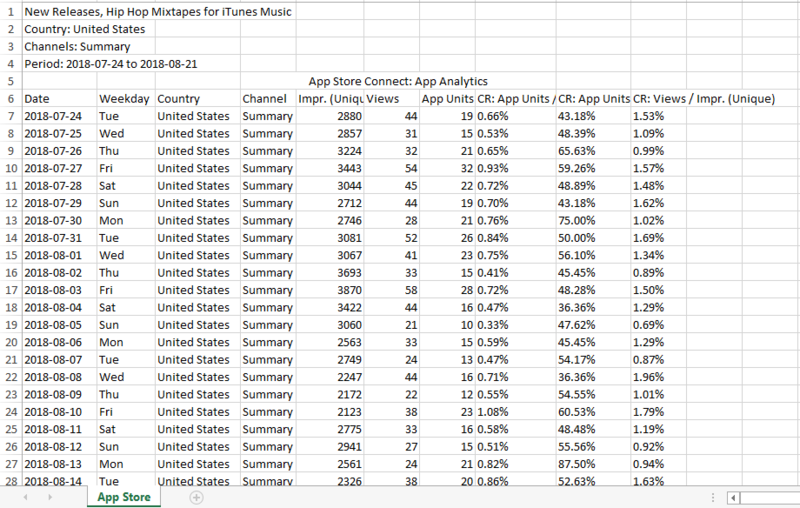 Track how your keywords perform, how many downloads your app got, which countries work better and more. Choose App Store Connect (ex-iTunes Connect) and enter the login data: Apple ID and Password. This integration works for both iOS and Mac apps and delivers reviews, ASO and sales reports and allows to reply to reviews. To set up ASO Report you need the following access: Admin or Sales + Marketing + Access to Reports roles. Read-only access doesn't let making any changes into the account. You are done now! Click the “Get ASO Report” button on your app's page and download the data. All daily data, impressions, views and calculated conversion rates ready to use. Need help? Just hit the red intercom button — we’re here for you.